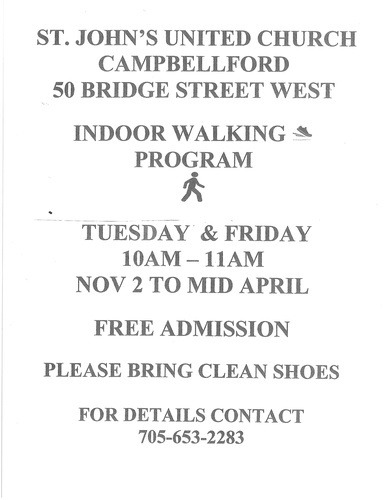 St. John's United Church Campbellford hosts an Indoor Walking Program every Tuesday and Friday from 10 am to 11 am. Free admission. Please bring clean shoes.